You spend a great deal of time at work, and that time should be as pleasant as possible if you are to remain focused and productive. Just because you work inside a cubicle doesn’t mean your workspace has to be dull and boring. Here are some easy ways to spruce up cubicles so spending time in them can be much more enjoyable. You’ll naturally be more productive when your office space is free from clutter. Take a few minutes to get rid of paper, and then set up a system of organizing everything so your desk will continue to be clear. Create baskets for paperwork to make it easier to stay organized in the future. Lighting is sometimes an issue in cubicles, but adding one or two small lamps can help brighten things up a bit. Use low-watt light bulbs to cast a soft glow (around 40 watts is typically ideal). You could also string some miniature lanterns or Christmas lights around the perimeter of your cubicle as well. Add a few items from home to give your cubicle a personal feel. Be careful not to overdo it, as adding too many things can make your space feel cramped and make working in it distracting. One or two photographs in nice frames or a souvenir from your travels is all that’s needed to soften the look. These are just a few ways you can make your cubicle space more pleasant to spend time in. To see the huge selection of cubicles we have available, contact us. Office filing cabinets are crucial for keeping your important business documents organized and protected. If you’ve never bought filing cabinets, you may not know what will work best for your office if you don’t know how the various filing cabinets differ. Here are some buying guidelines regarding the types of filing cabinets available, as well as the choices in construction materials. Vertical filing cabinets are the ones that are the most traditional. As they’re both tall and thin, you can store them in corners, which gives you more room for other furniture. This type of filing cabinet works well for storing documents on a long-term basis because of the compactness of the closed drawers. There are generally three to six drawers in a vertical filing cabinet. This makes file organization easier. Because lateral filing cabinets have wide drawers, they’re ideal for storing maps and documents with unusual shapes. They’re also called horizontal filing cabinets as instead of having front-to-back storage, they store files side-to-side. What’s more, they have more room on top for storing extra office supplies. This type of filing cabinet is suited for storing documents on a short-term basis. They’re lightweight and don’t have the protective, hard shell of metal cabinets. However, they’re still able to safely store your documents. A rolling cabinet is particularly ideal when you have to move your files from one room to another to make copies or do presentations. Steel—Filing cabinets are usually made of metal because of its strength and longevity. Steel cabinets can endure considerable abuse, while still looking good. Metal filing cabinets used to come in only tan, gray, black and other muted or subdued colors, but today’s metal cabinets are available in even vibrant, bold colors. Wood—Often business owners choose wood filing cabinets for their warm, welcoming look. They work just as well metal cabinets do and are durable so that they can protect documents. Wood cabinets are available in a wide range of colors. For a contemporary look, choose woods with dark, expresso colors. Wicker—Although wicker cabinets aren’t as durable as metal or wooden ones, they can still be useful. They typically have a metal frame that contains baskets or trays constructed of wicker. Businesses often choose this type of filing cabinet for cosmetic reasons. However, because wicker cabinets can give an office a more relaxed look, they’re used more for home offices instead of professional ones. Two of the most important considerations involved in selecting the right filing cabinets are the kind of files you need to store and the amount of space you have. If you have to move your files around, consider a mobile filing cart. These carts are usually short and aren’t any higher than 30 inches tall and 15 inches wide. They include hanging file frames and casters that can be locked. You can easily tuck them underneath a desk or table when they’re not being used. The Office Planning Group can help you find just the right office equipment that’s best suited for your business. They’ve continued to serve the New Orleans and Gulf South regions for the past 45 years. 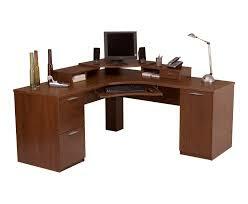 They offer services in both used and new office furniture. Please contact us. Whether you own a small business that’s just starting out, or you’ve been around a while, you need to have a good suite of office furniture. The items you choose have to make your business look good, set your customers at ease and function the way that you need them to. Upgrading to a more professional image is less expensive when you choose used office furniture over buying new. Here are some other things to consider when outfitting your office. It’s pretty obvious that purchasing used office furniture will be less expensive than buying new. When a company is working under a tight budget, every dollar counts. From chairs to desks, filing cabinets and conference tables, everything a company needs to furnish offices, lobbies and meeting rooms can be purchased second-hand. What’s more, used furniture can be resold once it is no longer needed within the organization and can often fetch 50% or more of the purchase price. As with all second-hand market purchases, used office furniture is a great way to help protect the environment and reduce pollution. Because there is no manufacturing and very little transportation involved in buying used furniture, you’re not increasing your carbon footprint. It also helps to reduce the amount of waste that is taken to landfills. This eco-friendly solution helps you in the short-term but it’s also good for future generations as well. For a new business, going all-out and purchasing an elegant office suite is probably not the best option. In a tight-budget situation, you have more purchasing power when you purchase used office furniture so you can get everything you need. Perhaps you’re in a temporary office space, and you have plans to relocate within a year or two. Instead of investing in new office furniture that may not work in another location, purchasing used keeps more money in your pocket for investing in your business growth. Think about how you’ll be using the space including how people will do their daily tasks at their desks. Also consider filing cabinets, book cases and other furniture that will help with organization and productivity. Your client’s opinions matter when it comes to your image. You want to be seen as a professional, trustworthy organization worthy of doing business with. That said, don’t be afraid to mix and match items, it’s okay to let your company’s personality shine through. The truth is, when you are shopping for used office furniture, your choices are going to be somewhat limited. That’s not really a bad thing, when you consider what your time is worth and the huge number of other things that you have to do. 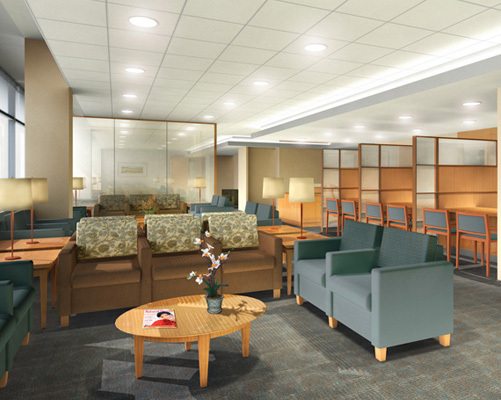 Consider it a challenge to find the style and designs that best suits your company and clientele. Being creative and limiting the time you spend thinking about the furniture will pay off in the future, by allowing you to get to work quicker. If you’re thinking about upgrading your office furniture or you’re furnishing a new office, buying used has plenty of advantages. If you need help finding the right office furniture or if you’re stuck for ideas for laying out your office space, contact us. Our friendly, professional staff will be more than happy to lend a hand. Setting up the modern office can be a challenge. Employees need privacy to get their work done, yet they need to be able to communicate with their co-workers at the same time. Bland uniformity in office furniture tends to affect morale negatively, yet a consistent and organized look is important. Many companies must also contend with space limitations when developing a plan for the layout of offices and cubicles. Taking the time to research cubicle options now helps to increase long-term employee productivity. This type of workstation is ideal for people who spend most of their day using a computer. It fits in well to small spaces while still providing the room workers need for the computer, cords, CPU, work documents, and personal items. The table is angled to conserve space, yet employees have ample room on both the left and right sides of the computer to spread out papers. An L-shaped desk includes one long table and one smaller table to place the employee’s computer. When working off the computer, he or she can slide the chair to the longer part of the desk to have more space. The cubicle wall allows the employee to work privately while sitting down and converse easily with nearby co-workers when standing up. This desk design has a typical table on one side, a cutout in the middle for the employee and his or her computer, and space on the opposite side that resembles the letter U. There is plenty of room to place file drawers underneath the desk as well as store office supplies. 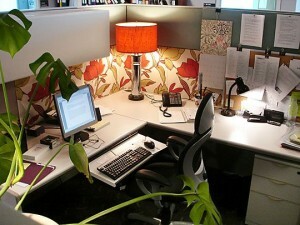 Most workers find the cubicle surrounding a U-shaped desk to be aesthetically pleasing. The Office Planning Group offers modular office, telemarketing, executive, and other types of cubicles for employers across Louisiana. Please contact us to discuss your office set-up needs or to schedule an appointment for installation.